What lasts four days, covers nearly 2.5 million square feet and has over 170,000 tech-passionate folks in one place? It can only be the Consumer Electronics Show! 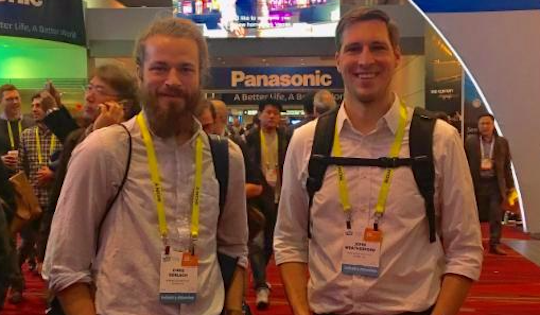 Chris Gerlach and John Weatherford kicked off 2017 by heading to Las Vegas to take on the largest CES yet. On a mission to scout emerging technologies and trends, they stayed busy exploring automated drones, paper-thin OLED TVs, AI robotics, AR tours of Mars, levitating speakers, and self-driving cars that adjust the lighting, music, and even smell when the driver is stressed. With an exciting idea of where tech’s heading and a mountain of ideas and contacts to pursue, we’re thrilled to see what the future of NMI projects will look like!